"The first point to make is that this oversize book is stunningly presented, with easy-on-the-eye text, helpfully broken up by subject headings, several on a page. And the photographic illustrations are in rich color and with clear detailing that makes the close-up shots comfortable on the eye as well. This handbook is for readers serious in their interest in and pursuit of home cheesemaking. With authority and clarity, the author delves deeply into the subject, explaining all the scientific aspects of the processes involved (in her words, 'the beautiful interplay of science and art that goes into creating truly great cheeses'), including measuring acid development, aging cheese, adding flavors to cheese, and thinking about various ideas for equipment and work space. Part two is, as the author indicates, where the fun begins. Recipes are offered and explained in very easy terms. A complete package." "Somewhere between art and science, cheesemaking is not for the faint of heart. Caldwell begins her guide to the enterprise with a great deal of science. An extremely nuanced process becomes friendly through the author’s cheery advice and enthusiasm, then the book transitions into recipes that range from simple to quite advanced. A great guide for beginners and experts alike, Caldwell makes sense of the culture of cheese-making. Between recipes and advice, Caldwell gives credit to other experts in the field, pointing to relevant books, suppliers, and masters of the craft. The book also features a useful glossary of terms, an appendices with a troubleshooting guide, quick reference guide, and resources list. The layout is easy to read and well-organized; pictures illustrate what the end product should look like, a useful referent for those new to the process. More experienced cheesemakers will find ample difficulty to suit their study. Recipes start with the history of the cheese, then list ingredients, steps, and large-batch guidelines. From equipment to acidity, humidity to storage, Caldwell takes care to make sense of every step and each element. 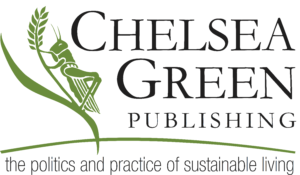 Throughout the process, she offers multiple options for further study and understanding, encouraging her readers to embrace the art, science, and community of cheesemaking. Caldwell’s comforting and impassioned talk of cheese will encourage any student willing to take on the adventure of cheesemaking. With its depth of information, this book will keep on giving as cheesemakers increase their mastery of the craft." Gianaclis Caldwell and her family operate Pholia Farm, an off-grid, raw milk cheese dairy in Oregon. 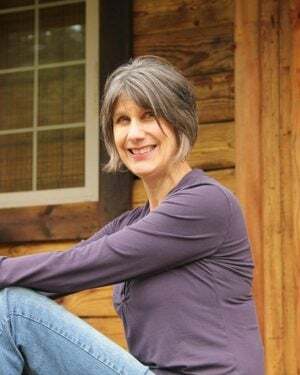 She is the author of the award-winning Mastering Artisan Cheesemaking, as well as other books on cheesemaking and running a dairy. Applying a holistic, organic management approach to the health of her goats comes naturally for Gianaclis: She was raised on an organic farm; her parents were chiropractors; and she pursued a career in nursing. Her aged, raw milk cheeses have been recognized and applauded by America’s foremost authorities on cheese, and she travels nationwide to present workshops on cheesemaking and troubleshooting goat health problems.